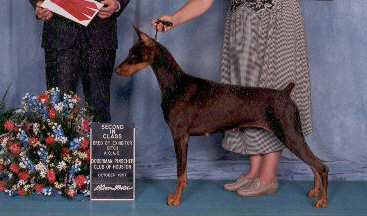 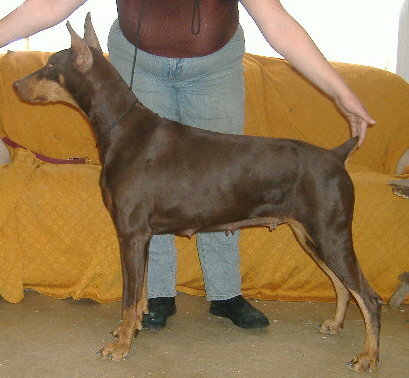 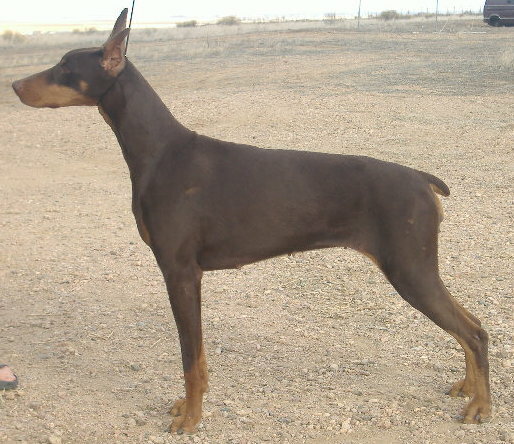 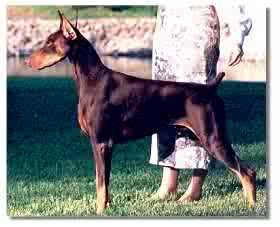 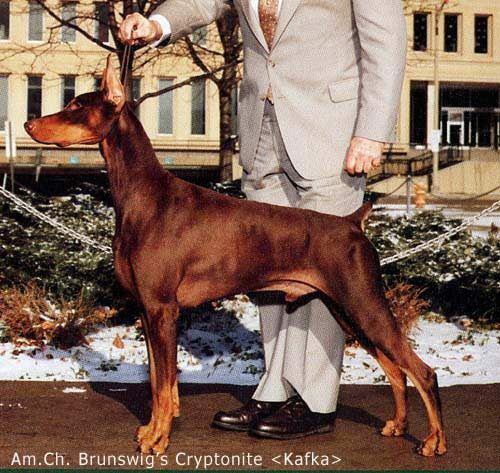 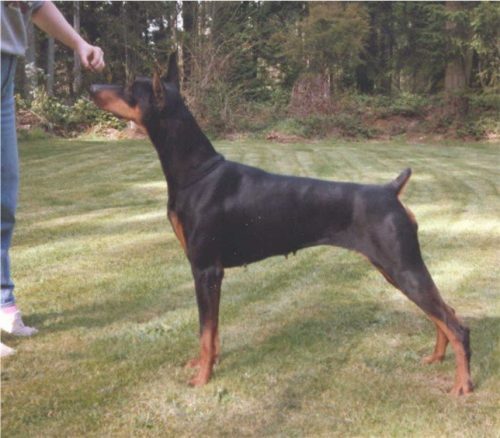 Achievements: ehlona is the daughter of CH mariahs monogram von koepsel, 2005 DPCA stud dog of the year. 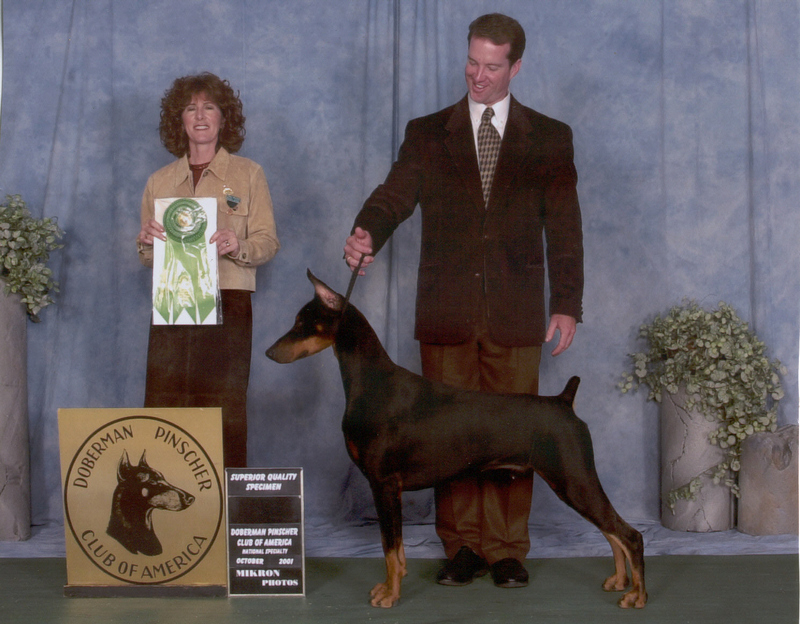 we are very lucky that tina marshal has allowed us to have such a wonderful girl. 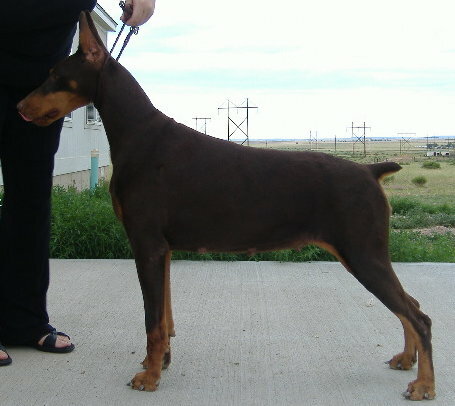 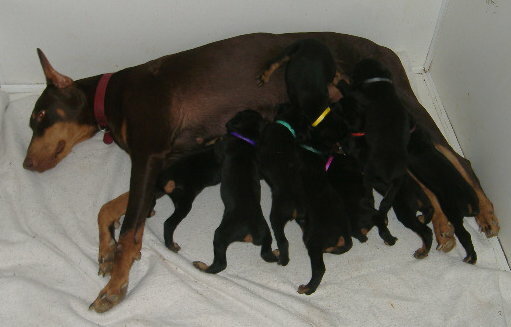 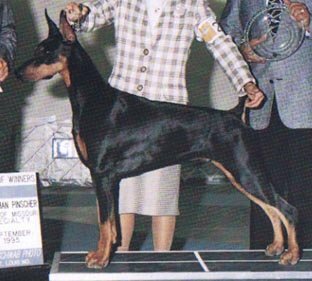 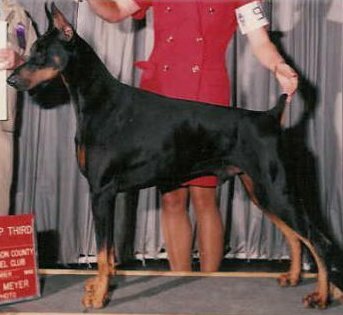 she is a joy to live with and has graced us with a wonderful litter of puppies, some of her dober kids can be seen on this site.